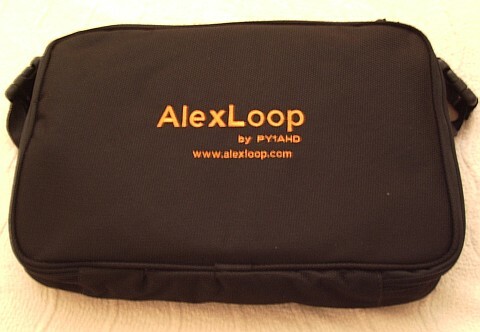 Saw your blog via Bas in the Netherlands and wanted to say I had seriously considered buying one of Alex's fine loops. Good for you. It's a great looking package and after building your wonder loop I am a fully converted loop fan now. Hope you have hours of fun with it. I have a Targus camera tripod whose legs work like a metal whip antenna (with a locking mechanism). I just slip the bottom of my Alexloop on the handle meant to be used for panning (I set it vertically as much as possible) and it becomes the perfect setup for park bench operating. It fits in the antenna bag. This said, I love my Alexloop. 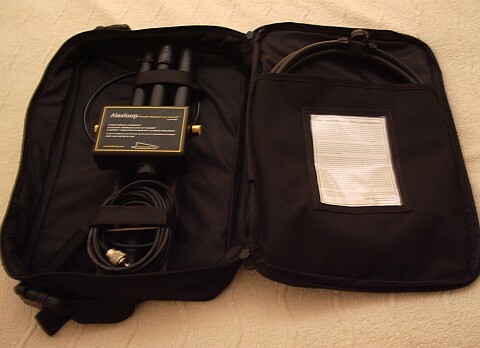 "There are not many portable antennas that would beat the AlexLoop WalkHam for performance"
That's a bold comment Julian. I would have thought a simple dipole as used by most portable operators would beat a magnetic loop! Look forward to hearing how it goes out in the field when you are up to it. Thanks, Amir. I would never have thought of using the panning handle. Something to investigate. Richard, whenever I have done A/B comprisons between a multi-band dipole and an MFJ magnetic loop the results have always been too close to say one is always better than the other. A dipole or EFHW will always be the ones to beat, but Alex's loop has the advantage of portability and can quickly be deployed anywhere without regard to the availability of trees etc. I am looking forward to trying it out in the field. It seems to show the loop to be significantly worse than a dipole over the course of many observations. YMMV of course and there may be other good reasons to use a loop. 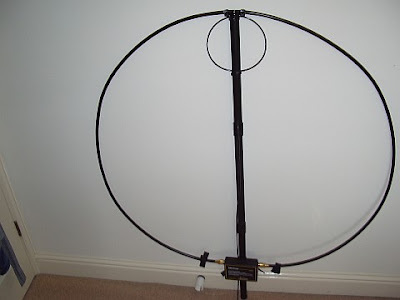 The loop used for the comparison is a home made loop not the MFJ one. As someone commented: "A loop designed with 11% efficiency doesn't sound like a fair comparison of the test results between the two antennas." I'm very much looking forward to reading a comparison of the 'AlexLoop' versus your own 'Wonder Loop'... is this something you might do, do you think? Probably not, Richard, as every Wonder Loop will perform a bit differently due to differences in the way the builder built it, so the comparison would not be very useful to most people.